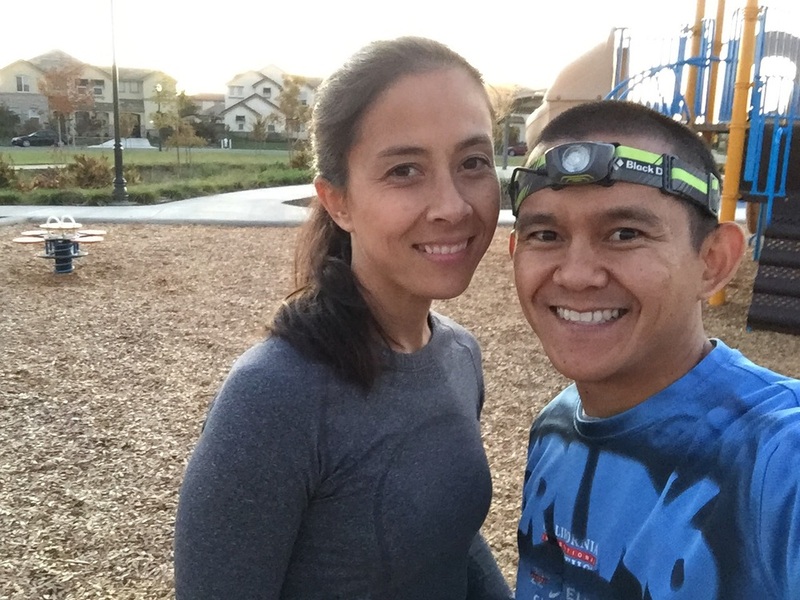 Typical #runnerswitch spot - a park. The kiddos get to play while waiting. You've seen our posts before on Instagram so this tip is more of a reminder. We have a big family where 5 of the 6 of us have training plans (we talked about our training plans here), goals are set and a plan is made on how to get there. All great things - except how do we get everyone's running in when we ALL need to run different training plans? Easy - Runner Switch! The concept is simple, either Dave or I pick an end location for a run. Typically it's a park. One of us drives the children to the park so they can play while waiting for the runner to arrive. Once there it's as if saying "tag you're it!" The person waiting runs home. This way both of us can get our weekday, and sometimes weekend, long run in. There are obviously variations to this method. Our 5, 9, and 12 year old also need to get weekday miles and weekend long miles in, so often the 9 and/or 12 year old will partner with one us for the first leg of the runner switch. Once we get to the park, the warm up (or cool down for the first runner) is the 5 year old's training run. There are also modifications with using runner switch. Training plans call for a variety of running - tempo, intervals, race pace, etc. Sometimes we are able to reach those training goals for speed work or a tempo run and sometimes we just simply get the miles logged. We have realized that the important aspect of running for us is training and running as a family. We set goals to improve on speed and distance, and we are getting there slowly but surely. Having a bigger than normal size family that are all training puts up some challenges but we get it done! Runner Switch helps us do that! Do you have multiple people who run in your house? Do your children long to run races or train with you? Try our first tip: #runnerswitch and tag us @FitFam6 on IG and Twitter. We would love to see how others use #runnerswitch.